TRUSU’s campaign to address TRU’s underfunding hasn’t slowed down over the summer and is in fact in full gear. 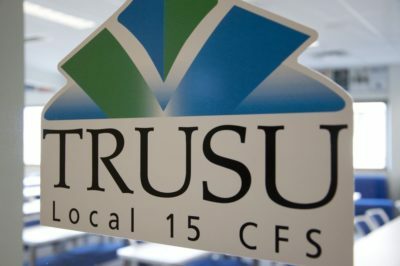 Since last October, TRUSU’s Campaigns Committee has made 50 presentations to community organizations and municipalities throughout the region and has received 30 letters of support, says vice-president external Cole Hickson. The Ministry of Advanced Education has since responded to TRUSU’s request to re-evaluate TRU’s funding formula, yet have stated that it isn’t something they want to look into at this time, says Hickson. According to TRUSU, despite TRU having the broadest mandate of any post-secondary institution in British Columbia, the university has been shorted $80 million in the past five years alone. In fact, since 2005, TRU has received the exact same block funding, adjusted for inflation, per year. Though TRU has grown much in the last thirteen years, in terms of both growth of the student population and more diverse course offerings, the university is still receiving the same amount of same amount of funding it did in 2005. “If we look at that now, in terms of per person funding, we are 20th out of 25 institutions in terms of per student funding,” Hickson added. So what exactly does a lack of funding mean for TRU? It often means that students, both domestic and international are expected to pick up the slack, says Hickson. Hickson adds that despite the university being underfunded by millions of dollars a year, if the government was to adopt a more equitable funding formula not just for TRU, but for all institutions across B.C., the economic return would be huge. “Roughly for every dollar you invest into the institution, there is a five dollar return for our region and a ten dollar return for our province,” he said. While TRUSU is ready to take the next step in their Fund the Future campaign by tabling at upcoming events like the Farmer’s Market, Overlanders Day, Rib Fest and the Pride Parade, as well as doing some door-knocking this month, in the past they have looked at various models of funding to find a best bit for TRU. TRUSU believes that B.C. could learn from the system in place in Ontario. Though Ontario’s Basic Operating Grant provides grants based on historical enrolments, their core model also includes four other specific grants that support new enrolment and growth. The Ontario model also allows for performance based funding, tied to graduation and employment rates, as well as funding for government priorities such as students with disabilities or Indigenous students. Even if block funding is here to stay, Alberta’s model of annually adjusting funding across all institutions equally would be markedly better. In many ways, Hickson calls the revaluation of post-secondary funding here in B.C. a service to all British Columbians. Not only would it be an investment in economies both local and provincial, but an overall better spending of tax dollars.